Founder and CEO Graham Bloxham developed the eco tiny iPod tiny home product to disrupt the building industry by providing a fresh take on ready-to-go, portable and stackable housing. “So many New Zealanders are in need of affordable houses but don’t have access to finance, land or insurance,” he explains. “The building industry is stumbling along, overcharging with long wait times. In some cases, two years. “We have found ways around all this” Bloxham says. That’s the amount Bloxham says prospective home owners need to be in an off-the-grid stylish Scandinavian styled tiny pod in 10 weeks – including consent. stackable pods in the CBD around buildings. Eco Tiny has even negotiated a rent-to-own model with wraparound services and insurance. 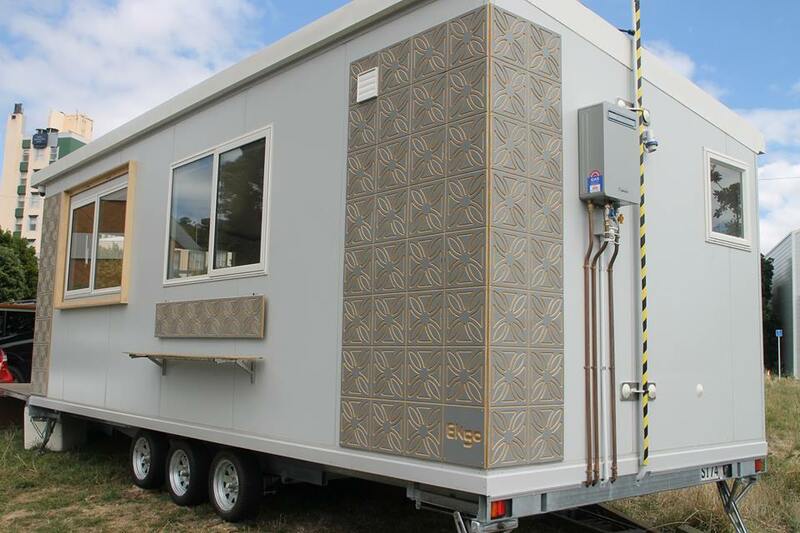 Eco tiny houses are self-contained small homes 22 studio and 34 sqm 1 brm units, often built on wheels – perfect for first home buyers or anyone looking to get on the property ladder or hoping to reduce their carbon footprint. At 3.1m by 7.2m long and boasting a giant deck, Eco tiny’s iPod require only 35 sqm of land to get started. Moreover, Eco tiny houses can either be off-the-grid or connected to services – Bloxham’s Ecotiny Warrier pod is powered by wind, sun, gas and rain and is either plumbed in and consented or totally self-sustainable. Built from New Zealand steel eco panels, the iPods are flexible, strong, “super warm”, healthy and exceptionally cool. Eco tiny’s design process allows consumers to mod their pod and add off-the-grid elements such as wind generation. Bloxham has driven the cost out of solar systems and added in a myriad of Internet of Things and sensors to get and keep the pod connected. Eco tiny’s iPod homes even come equipped with a security system that syncs with the Eco tiny’s dashboard app on a smartphone. Homeowners can also check their iPods vital statistics, including water and solar collected, income tracking if plugged into Airbnb which links to Xero and prepares the tax, battery levels and warmth and add other options for a truly connected life. Bloxham’s goal is to sell 3,000 tiny homes by working within the changing regulatory environment. “Infill housing rule changes, Auckland just freed up 35,000 + sections and Hutt City wants 2000 + more homes,” he notes. “There is a lot going on with Eco tiny resorts & villages and affordable housing on iwi land. While many tiny house companies behave like traditional house sellers, Bloxham wants to make buying a tiny house akin to buying a new car – fast, friendly, and with exceptional after sales service.